To cultivate an environment of competitive learning through innovative coaching techniques and high standards of performance. 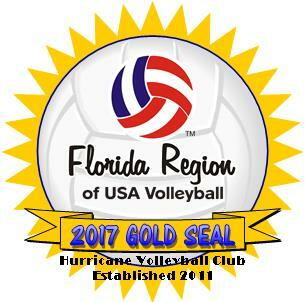 Hurricane Volleyball Academy ("HVA") is a volleyball club dedicated to player development both on and off the court. HVA's customized, practice sequences enables us to maximize individual skills-training through a unique format. The first hour of practice is "Stations," where players work exclusively with their positional coaches to improve their specific position skills. The last hour is "Team Drills" in which all positions participate in high intensity drills designed to improve team communication and cohesiveness. Our goal is to create a warm and inviting environment for both players and their families. We look forward to meeting you and having you become a part of our volleyball family!